Out of print, underrated, forgotten music, movies, etc. Check comments for links... full discography, rar, etc. Post-punk... from Cleveland, Ohio. The early stuff is essential. From there, it gets spotty... from shear avant garde weirdness of "Song of the Bailing Man" to pure pop satisfaction of 1989's "Cloudland." 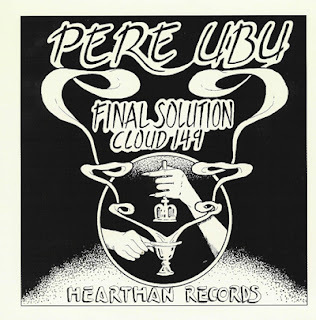 Love Pere Ubu! Tried the first five links and they are all "file not found". It would be wonderful if they could be uploaded again. Cheers. Fantastic! Thanks so much for the uploading again!